King Abdullah has been succeeded by half-brother Salman in key U.S. ally Saudi Arabia. Saudi King Salman fired top ministers and detained a number of high-profile figures in a sweeping move that handed more power to the young crown prince. The White House sought to quash concerns over the withdrawal of top leaders of Gulf nations from a planned summit on Friday at Camp David. King Salman bin Abdulaziz appointed his nephew, Deputy Crown Prince Mohammed bin Nayef, as the new heir apparent. 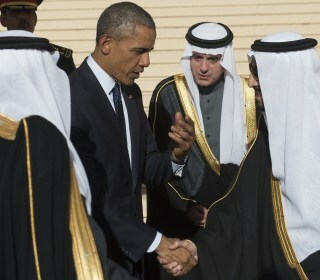 As President Obama visits Saudi Arabia to pay his respects to the family of the late King Abdullah, Saudis are pondering their ties with America. President Barack Obama and the First Lady will travel to Saudi Arabia to pay respects following the death of King Abdullah, the White House said. As the sons of King Abdul Aziz age out of the position, the many possible heirs to the Saudi throne are seeing what the future will hold for them. King Abdullah of Saudi Arabia, whose policies dramatically drove down the price of oil, was given a simple Muslim burial in line with Saudi tradition. Although the 90-year-old King Abdullah had battled ill health for months, his death on Friday took an emotional toll on many Saudis. The ISIS and al Qaeda-fighting credentials of Saudi Arabia’s new king signal how seriously the kingdom takes the threat from Muslim extremist groups. Saudi Arabia's King Abdullah was carried in a simple white shroud to an unmarked grave on Friday in a Riyadh cemetery. King Abdullah, the Saudi monarch and one of the U.S.’s closest Arab allies, died at the age of 90 after battling pneumonia. NBC’s Ayman Mohyeldin reports. Saudi Arabian King Salman vowed on Friday to maintain the same approach as his predecessors in the first address since he ascended the throne. The leaders of countries worldwide have have taken to social media to express their condolences after the death of Saudi Arabia's King Abdullah. Vice President Joe Biden will travel to Saudi Arabia in the aftermath of the death of King Abdullah, a key American ally. The death of Saudi Arabia’s King Abdullah has put the spotlight on who will succeed him. King Abdullah, a key U.S. ally in the Middle East, died at 1 a.m. Friday local time of pneumonia. 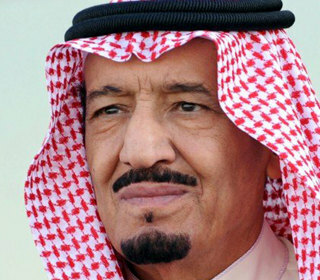 His half-brother Salman bin Abdul Aziz is now king. Salman bin Abdul Aziz hasn't expressed the same support for women's rights as had the late King Abdullah, experts say.